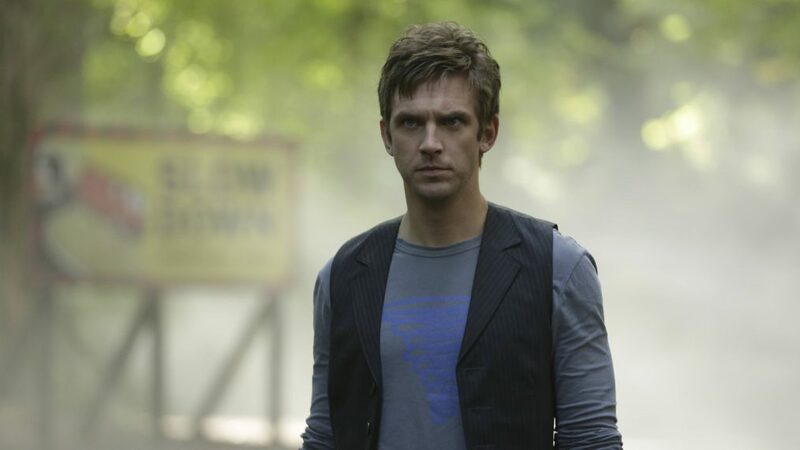 Spoiler Alert: This recap contains major plot twists from Chapter 4 of Legion. There was a time when the most psychedelic thing on Legion was David’s hallucinated Bollywood-style dance number in a mental hospital. Three episodes later, enter Jemaine Clement (Flight of the Conchords) as Oliver Bird, who wears a leisure suit under his diving gear and indulges in mid-'60s free jazz and beat poetry from his levitating iceberg in the Astral Plane. As mind-bending as the series has been since the beginning, Chapter 4 turned the metaphorical weirdness dial (not the one that controls David’s voices, a different metaphorical weirdness dial) to 11. No sooner had the concept of the Astral Plane’s manufactured dream space been introduced did viewers learn that David was not the only one to have discovered it. Meanwhile, in the physical world— the term “real world” seems inappropriate since the concept of reality is often relative on Legion­— Syd, Ptonomy and Kerry hit the road to search for answers about David’s past, and what he’s been hiding in the deep, dark recesses of his mind. With this episode split between two story threads, Legion continued its deft pace of exploring some narrative strands while unraveling others, creating a web of intricacy with complexity that invites scrutiny but avoids becoming so byzantine as to forbid entry. The fact that the episode’s reality-altering revelations come in equal measure from the physical world investigation and the confines of Mr. Bird’s trippy ice submarine speaks to the strength of the topsy-turvy world-building that’s made such abstractions even remotely parsable. Series stars Dan Stevens, Rachel Keller, Jean Smart, Jeremie Harris, Amber Midthunder and executive producer John Cameron preview what's to come on the FX drama. One common element that ran through both plots was the elaboration on mutant abilities that had been vague, including The Eye’s, which seem to involve shapeshifting, and Cary/Kerry’s symbiotic relationship, which provided some intriguing and much needed side-character development. Most importantly, David’s ability to create his own realities became clearer, with some help from the more experienced telepath, Bird. Yet another important revelation about David and his power came from Bird’s acknowledgement of the Devil With Yellow Eyes. David tried to play off the monster as a manifestation of his abnormal psychology, but Bird offered some confirmation that it is, in fact, a separate, parasitic entity. “Are you saying I’m haunted?” David asks. “No, that’s superstition, I’m a scientist,” Bird replies, from the interior of his psychic dream ice cube. David’s further exploration of the Astral Plane reveals the cliffhanger twist of the episode: that the version of Lenny living in his head is a guise the DWYE wears to manipulate its host, a realization further reinforced by Ptonomy and Syd’s memory diving in David’s ex-girlfriend’s brain. Lenny, it turns out, has been inserted into memories where she doesn’t belong, seemingly by the DWYE, replacing all recollection of David’s drug-addict associate Benny. Aside from dropping a few major bombs that helped to terraform the overall landscape of the show, Chapter 4 also took some time to target some of the less central relationships. The dynamic between Cary (male) and Kerry (female), who “share” a body, is defined by a protectiveness that comes across as familial bordering on romantic, which would be inappropriate if the two were traditional siblings, but the episode paints them more as two halves of a whole. They love and need each other in a way people can only love themselves, which is an interesting idea to express through a duo. Amber Midthunder as Kerry Loudermilk. In overly simplified terms, Kerry is presented as a young, aggressive id, who doesn’t have to deal with any of the “boring stuff,” while Cary is more of an ego/superego, planning for the id’s long term benefit. Other important notes related to this unique relationship include the fact that Kerry only ages when she’s outside Cary’s body, and the fact that Kerry has never pooped. The other side relationship addressed in passing this episode was the one between Melanie and Oliver Bird. Melanie keeps Oliver in suspended animation in a diving suit, hence the chill in his Astral bachelor pad, and holds out hope that Oliver can still return. Oliver’s predicament and Melanie’s hopes of rescuing him from the Astral Plane are likely some of Melanie’s ulterior motives for training a dangerously powerful psychic like David. Meanwhile, Oliver only seems to vaguely recall Melanie’s existence. Overall, Chapter 4 pushed the series’ story forward in a few necessary and perhaps slightly overdue ways and fleshed out a few of the supporting players without resolving all of the mysteries the first three episodes had so meticulously built up. And with the DWYE in control as of the final moments of the episode, things are primed to go explosively wrong for David in Chapter 5. Oliver dates the series more concretely than anything in the aesthetic mashup of Legion has to this point. His style, taste in music (Sonny Simmons’s “Metamorphosis,” if anyone wanted to know) and questions about free love and bra popularity place his departure from the physical sometime around the late 1960s. The Astral Plane is a fixture in Marvel canon, accessible to powerful psychics and featuring most prominently in comic storylines involving magical adepts. Still, don’t expect any Benedict Cumberbatch cameos any time soon.